The second title in the gorgeous Little Elliot series, following the successful Little Elliot Big Family. When Mouse heads off to his family reunion, Little Elliot decides to go for a walk. As he explores each busy street, he sees families in all shapes and sizes. 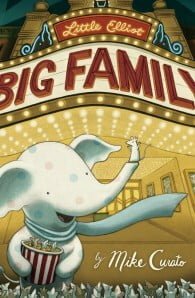 In a city of millions, Little Elliot feels very much alone—until he finds he has a family of his own! Mike Curato has the fortune of possessing a designer's brain, an illustrator's heart, and an artist's vision. 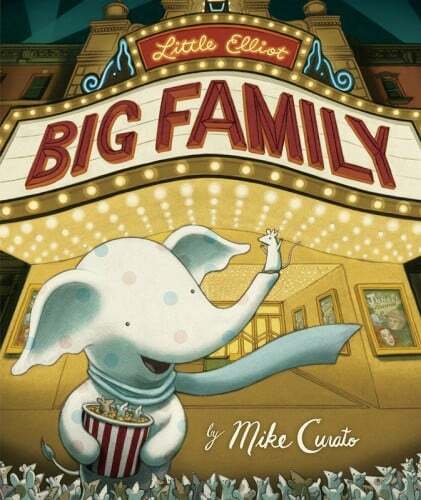 He is the author and illustrator of Little Elliot, Big City. You can find him on any given day walking around the city, eating a cupcake (or thinking about it).